How do you measure the true performance of your noise suppression algorithms? 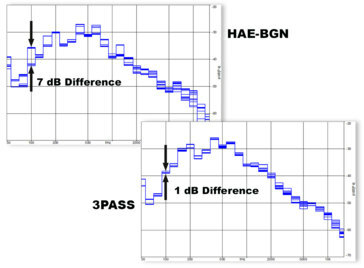 For over a decade, HEAD acoustics has offered a standardized solution for measuring the speech quality performance in the presence of background noise (BGN). That BGN system, compliant with ETSI ES 202 396-1, relied on equalizing the sound field using a binaural setup and gave a great level and frequency reproduction of a measured noise field. 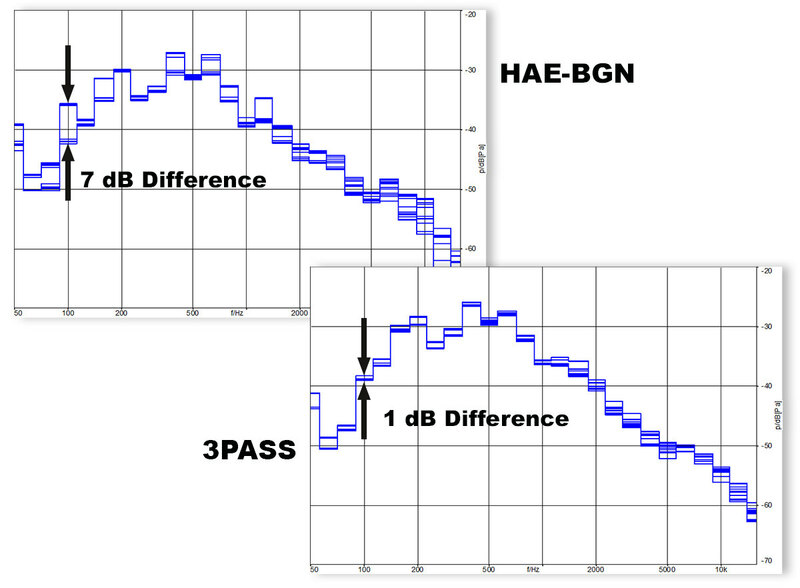 In the last few years, HEAD acoustics has been pioneering a new BGN system, 3PASS, which takes multi-microphone arrangements in modern consumer electronics devices into account. The 3PASS system was approved as ETSI standard TS 103 224 in August 2014. If you design and manufacture voice-controlled speakers, multi-microphone hand held communication devices, headsets with Active Noise Cancellation, etc. the 3PASS system allows you to record and playback any sound field that is representative of your typical use case, and therefore gauge how well your product performs in real world conditions. 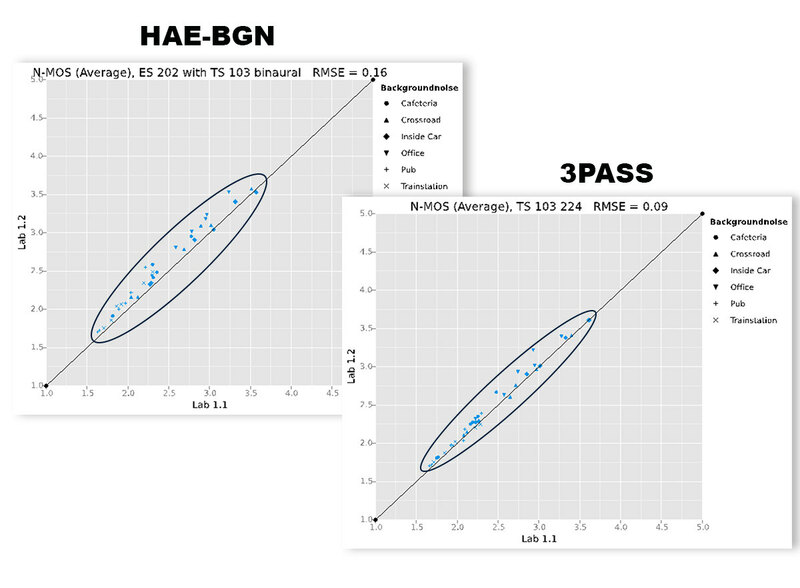 Four independent labs, tested 7 different devices in 6 different background noise scenarios, and compared their measurements between the older BGN system and the new 3PASS. In all cases, we saw improvements using the new 3PASS system (see attached images).